Attractive enough for any table. 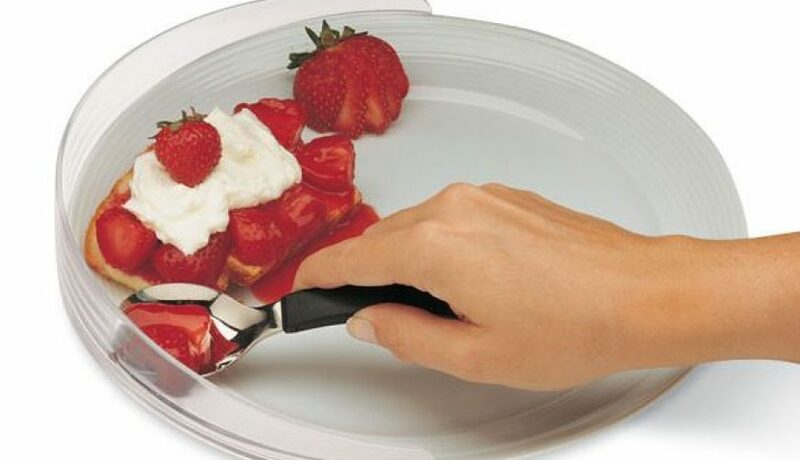 The inconspicuous design of the SureFit™ Food Guard makes it ideal for home use or when dining out. 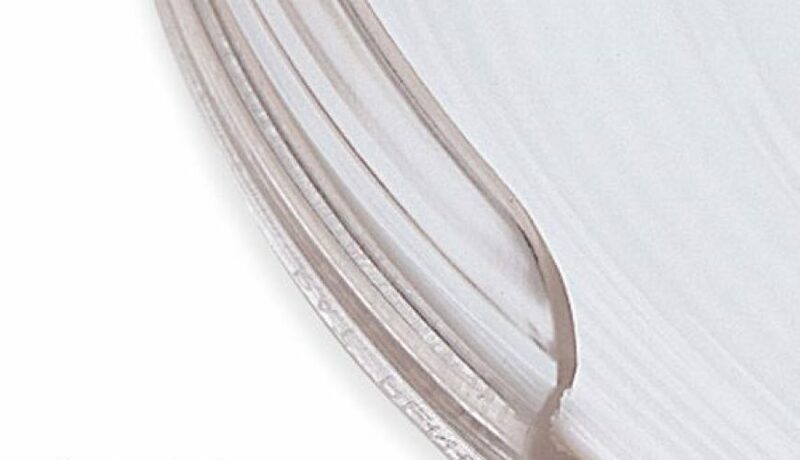 Clear polycarbonate plastic is strong and functional, yet attractive. 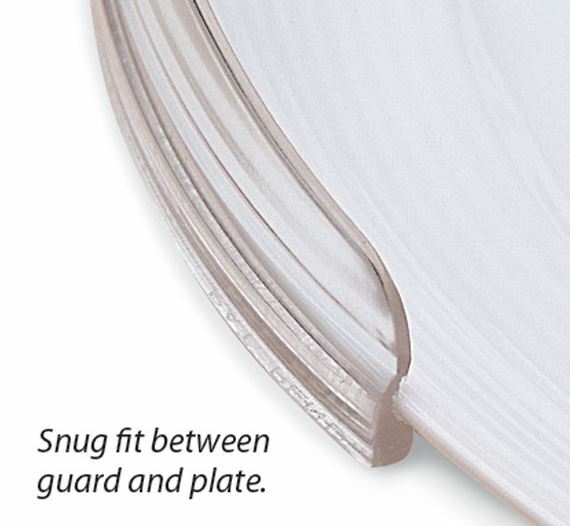 A snug fit means that the guard stays on the plate securely when food is scooped up against it. Tapered ends prevent interference with utensils. 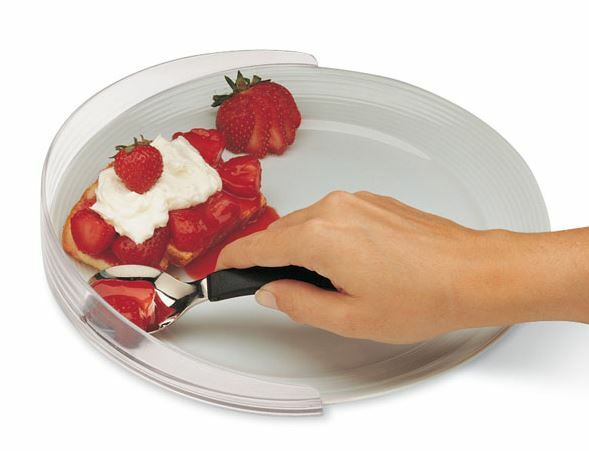 The grooved edge simply slides onto the plate, forming a gapless fit. Can be attached quickly, even by clients with the use of just one hand. Guards nest together for compact storage. Fits plates with a diameter of 21 to 25cm.